Half length seated portrait of Huddart, his body turned to the viewer's right, wearing a single breasted coat with a double row of buttons. 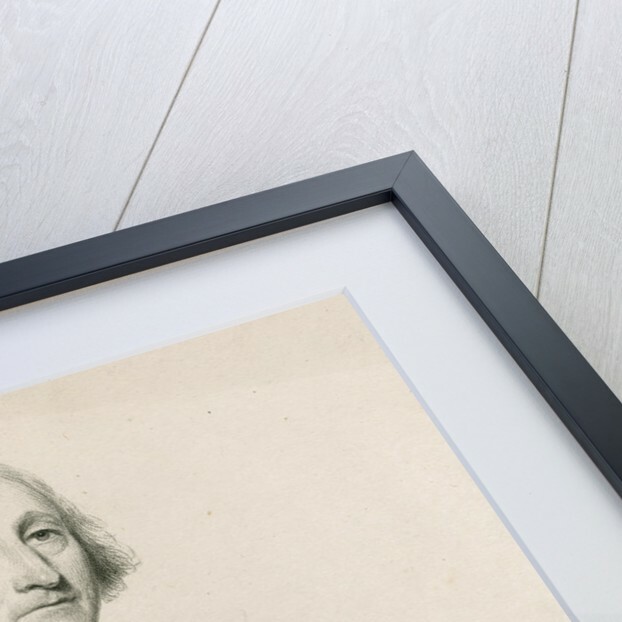 Inscribed: "CAPTN. 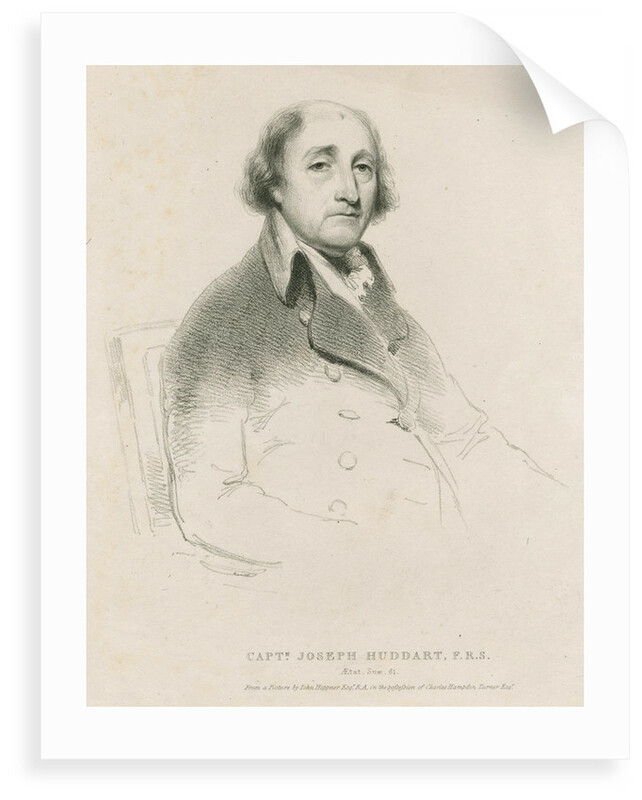 JOSEPH HUDDART, F.R.S. Aetat. Suae. 61. 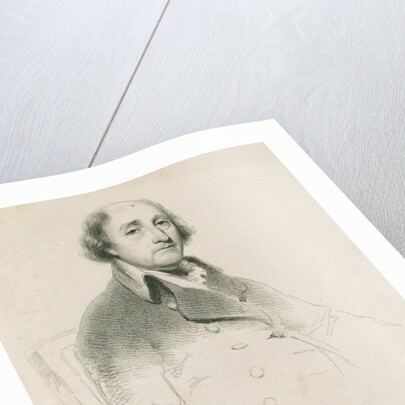 From a Picture by Iohn Hoppner Esqr., R,A, in the possession of Charles Hampden Turner Esqr." 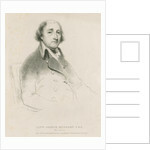 The print appeared as the frontispiece to Memoir of the late Captain Joseph Huddart, FRS &c. by Joseph Huddart [the younger] (London, printed by W.Phillips, 1821). 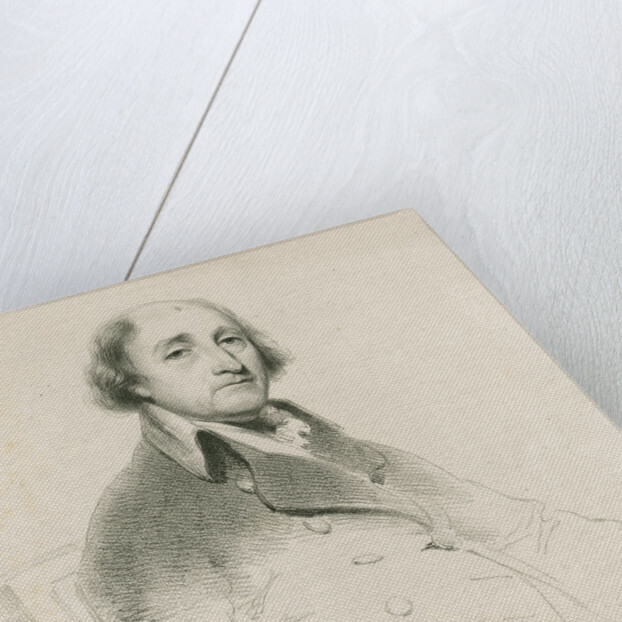 Joseph Huddart was elected a Fellow of the Royal Society in 1791.